In many cases the crude extracted oil is not suitable for human consumption until it has been refined to remove undesirable free fatty acids that taste rancid, dark colours and waxes. Refining involves considerable extra equipment costs. 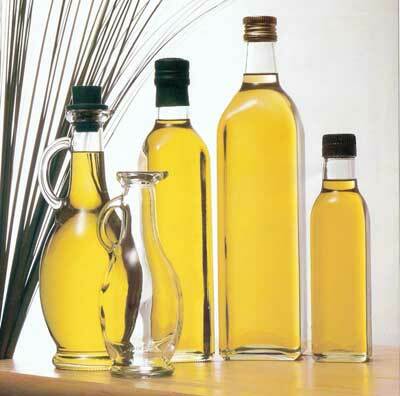 The most suitable oils for small and medium scale extraction are those that need little or no refining eg. mustard, sesame, groundnut, sunflower, palm and palm kernel . As oil processing is classified as a food processing enterprise it will be subject to local legislation. Care should be taken that standards are understood and met. The particular problem of aflatoxins will require attention. Aflatoxins are natural poisons produced by certain moulds that grow on seeds and nuts. They are of considerable concern to oil seed processors and groundnuts are particularly susceptible to contamination. The growth of aflatoxin producing moulds can be prevented by correct drying and by preventing moisture pickup by raw materials in store. It is most important that those considering establishing an edible oil enterprise should be able to recognise aflatoxin producing moulds and understand how to correctly select and store raw materials. If aflatoxin is present very little passes to the extracted oil, the majority will be found in the cake remaining after extraction. Aflatoxin contaminated cake presents a real danger if incorporated in livestock feeds. As aflatoxin is difficult to remove good practice is essential to prevent any mould growth and so prevent problems.